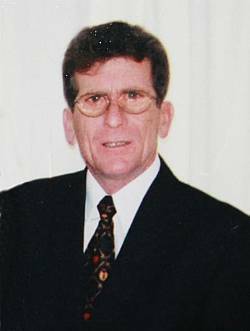 Jean-Maurice Bechard, AKA Maurice ,69, passed away on April 2nd, 2017, at Wuesthoff Hospital in Rockledge, Florida after a long and difficult battle with cancer. On December 14th, 2002, he married the love of his life, Isidra Vergara, who survives him. Maurice grew up in Georgia, Vermont, on the family farm. As a young man, he worked as a parts person for automobile dealerships. He decided to work at Farrington Construction as a carpenter alongside his father. He ran a successful business, Mastercraft Builders for many years building new houses and renovating many others. He moved to Florida in the early 2000 and continued his love of carpentry as a home renovation specialist. Maurice was active and hardworking person. He enjoyed gardening, woodworking, singing, attending church and loved to travel. He had a kind heart and cared deeply for his family, especially his grandchildren and great-grandchildren. Maurice is survived by his loving wife of 14 years, Isidra, his son, Andrew Bechard (JoAnne) and their children, Alyssa Bechard (Torianno), Codie Gauthier (Katie), Aliviah Bechard, Alayna Bechard, Hannah Tessier, Wyatt Rocheleau and Reid Tessier; daughters, Debbie Bechard and her children, Kristy Raymo, Jamie Raymo, Natasha St. Francis and Shane Hojaboom; Chelsee Bechard (Dustin Wetherby) and their children, Keelie Gilbert, Kaelynn Gilbert, Kylah Gilbert, Izabella Wetherby and Dekota Wetherby and step-daughter, Crisid, as well as great-grandchildren, Jalen, Carson, Taleigh, Logan, Kayden, Jayden, Jamie, Jr., Kaydence and Danica. He is also survived by his sisters, Jeanne Valley (Rod), Jeannette Messier (Eric), Deanne Morin (Ron), Bernadette Levick (Gary), Carmen Begins (Brad); brother, Michel Bechard (Phyllis), and many nieces, nephews and friends. The family will be greeting friends and relatives at the Heald Funeral Home 87 S. Main St. St. Albans on Friday, April 7th, 2017, from 4:00 to 7:00 PM. A Mass of Christian Burial will be celebrated at Holy Angels Church at 245 Lake, St Albans, VT on Saturday, April 8th at 11:00 AM. Interment will be held at a later date at Mount Calvary Cemetery. Messages of condolence to the Bechard family are welcome at www.healdfuneralhome.com.